Pearlescent ‘Eremor’ Leonine Soul Orb escorts a Grey orb through a portal in the Hu Shi asterism, with stars Canopus and Sirius to the left and right below, April 2nd 2019. Following on from the previous post about a far-reaching rebirth of Carian energies connected with Earth and galactically, the March-April energy flows are peaking now in ‘resurrection of the Golden Frequency’ mode through the Full Moon into Easter/Oestre. The ancient Roman mother goddess Oestre’s symbols of eggs and rabbits ~ new life and fertility ~ continued through the Christian Easter festival of resurrection. Christed energy from a higher dimensional perspective ‘opens the 3D box from within’, which we’ll come to later in this post. Through the last month, there’s been a continuous defusing of control-oriented energy constructs and entities releasing from lower astral hubs and pockets under the Earth’s crust (and those attempting to enter it being steered away), that have been representing clearly here throughout April; such as the appearance in the photo at the top of this post of a shimmering ‘Eremor winged white lion‘ orb on April 2nd which can be seen steering a lower 4D ‘grey’ orb into the arrow formation of stars known as the Hu Shi asterism, where there is a high light portal. (In the enlargements below you can see a soft rainbow sheen over white light that has consistently appeared as the soul signature of the Eremor lion beings the last couple of years, and the face of a being appearing in the smaller, dim orb as it was guided/transported toward a receiving light field). We’ve seen streams of these beings gathered and escorted out of the Earth’s vibrational field, to specialized light fields for recalibration/transformation, into the guardianship of angelic and other light beings who oversee and assist healings/wholings back to Love. High vibrational Carian (bird-like) beings who fly in the golden light flows of resurrection have been constantly present, activating these clearings and transformations, with many appearances of their forms and ships in clouds overhead, like the photo below, from April 3rd, with a bird-face in clouds at the left, and the defined rim of one of their diamond-shaped lightships to the right, partially decloaked to give a clear impression of its structure. Carian diamond-shaped ship appears clearly defined in a small cloud, with bird face forming in cloud to the left, April 3rd 2019. Star family wish to share about the role of mirroring vibrations; in the previous post they showed an interplay of energies between Canopus and Sirius, the two brightest stars in the sky, as orbs positioning next to the two stars, reflecting from one to the other in consecutive photo frames. Since then, star family have flashed lightships simultaneously in mirror positions in relation to these two stars, and refer to Sirius and Canopus as holding an energetic alignment they call mirror nodes ~ and also that planets, moons, many stars and constellations, even galaxies and universes, exist and co-create through a direct quantum resonance translating as simultaneous vibrational affects that can be utilized to strengthen these co-affective, co-creative reflections. We too, can and often do flow and create as mirror nodes, from the soul to cellular levels, and so does Gaia, through many specifically connected nodes in her meridian/energy flow line network that have particular energy reflecting relationships within and around her planetary body and vibrational field/magnetosphere. In the example below from star family on April 3rd 2019, Canopus is at the left, Sirius at the right, with two ships flashing at the same moment, from ‘above and below’; one above Canopus, the other below Sirius. Lightships flash simultaneously ‘above and below’ Canopus and Sirius respectively, in mirror positions, April 3rd 2019. In the next frame, the two ships have shifted position in relation to Canopus and Sirius, still mirroring each other’s movements, with the ship at the left aligned to Canopus, and the ship at right sitting exactly between Sirius and Mirzam, in a direct line to Canopus and the ‘mirroring ship’ stationed there. Lightships flash simultaneously next to Canopus at left, and between Sirius & Mirzam at right, April 3rd 2019. The mirroring of ‘above and below’ symbolized by these two ships in the first photo is also deeply relevant to the ways in which our star family around the Earth and Solar System connect energetically with our 5D Inner Earth star brothers and sisters of the Agarthan light realms….and how their movements mirror each other. As the 5D and higher ships and soul groups converge more closely around the planet, so the light of Agartha swells from within the planet, closer toward the surface. For the current centering of Christ Light ~ universal rebirth and resurrection frequencies ~ I was called a few weeks ago to activate a new node in the light-grid we’ve established in the garden here over the last five years. Crystals placed in the centre of this new node, in a Christ Cross formation, are holding the Threefold Flame/divine triune vibration, blue, rose and golden yellow, through beautiful silvery blue kyanite pieces, rose quartz and golden calcite. Quartz clusters that have been aligned with 5D core crystals within a sanctuary in the heart of Aran, an Agarthan light city directly below the hills here (see photos in this post of lightships exiting one of Aran’s interdimensional portals). The photos below were taken as the sun rose over the eastern hillside on April 7th. Initially, three stripes of sunlight fell across the circle, one large centre stripe flanked by two smaller stripes, as the trinity/threefold fold energies activated. The three stripes then merged into one bright, strong beam, and you can see in the photo on the right below, that the circle around the node was evenly divided into ‘light and dark’, representing the 3D polarity/duality vibration, with the crystal cross in the centre, and the centrepoint of the cross exactly upon the ‘dividing line’; literally the ‘crossing point of light’. The energy of the Dawn of the New Golden Age vibrating through this node from ‘above and below’, as it aligned and anchored the New Earth light-grid, with the sunlight playing very precisely across the circle, was wonderfully strong and tangible as a triple helix flow from the higher dimensions…and continues steadily. This sublime energy continued into a wider group activation of the Aran alignment, with a group of dear ‘ground crew’ friends who anchored the light frequencies streaming from above and rising from the Agarthan light city below, to spread through a network of nodes connected with a distortion-release point on the upper edge of a nearby quarry in the Darling Range. Statham’s Quarry, in the Darling Range, Western Australia, prior to Agarthan & Star Family activation on April 7th 2019. Following a beautiful, calm activation at the quarry, that night was busy with ships and orbs around the constellation Orion, with the release of embedded reptilian energies being transmuted through the star Rigel, which you can see with a blue, rose-rimmed orb beside it in the photo below, with a lightship flashing brilliantly in alignment with Orion’s Belt as it sent a stream of (divine feminine) light through the Orion stellar trinity. Orb representing star family guarding the star Rigel, while a ship flashes rose-white light in alignment with Orion’s Belt, sending ‘softening light of the Divine Feminine through the belt’, April 7th 2019. To attune with this phase of energy clearings from the planetary and collective psychic field, imagine the multidimensional Earth like an onion composed of energy layers wrapped around layers that have distinct attributes reflected in the physical layers of the planetary body. The centre of the planet, radiating from Gaia’s Heart (sixth dimensional heart frequency of the planetary soul), has a liquid outer core that translates from 6D liquid light. Around this 6D heart vibration/inner sun, are the 5D Inner Earth light realms known as Agartha, with a band of 4D frequency attributes nearer the surface, under the 3D outer crust of the planet. As the 5D light vibrations radiate more strongly from the Inner light realms toward the surface, they’re pressing deeper into the 4D layer. Energies and entities inhabiting the 4D frequencies that are of denser, control-oriented vibrations (long-embedded heavy energy pockets or hubs, and beings that seek control through manipulation of the 4D ‘zero-point’ natural vortex qualities into polarized energy swirls/chaos) are being squeezed toward the surface, and seep out where there are open gateways for them to do so. This can happen softly and easily, or where there are strong blockages or resistance, the pressure tends to build until it ‘explodes’ in one way or another. This is one aspect of the simultaneous fires that broke out in Notre Dame (Our Lady) Cathedral in Paris and Al Aqsa mosque complex on Temple Mount in Jerusalem on April 15th, as releases and clearings on the higher levels constantly translate into 3D into mild or more dramatic forms depending on the level of resistance and blockage. During this last month’s heightening of an overall ‘phoenix rebirth of darkened dragon fire’ many Divine Masculine Light-beings of the higher dimensions have stepped in to dig deep and transmute 4D nexus points of distortion, to allow the Ascension Light to flow more freely. A poignant little signal of ‘divine mother’ energies alive and well in the Notre Dame node came in the form of the ‘miracle of the bees‘, as the three beehives on Notre Dame’s rooftop survived the fire. Bees, in ancient times, have been venerated as goddess symbols, including the Melissae, the maternal bee goddesses; just feel the resonances here of how bees were anciently perceived as parthenogenetic ‘virgin mothers’ (as in the Greek ‘Parthenon’ temple of the goddess Athena in Athens), and the symbolic preservation of a trinity of hives upon Mother Mary’s cathedral, while in the 4D levels, a plug was pulled to release old draconic energies (and flood the node within the church with SUNlight). What we have seen is an outpouring of love from the people, and that the cathedral will be restored through love, in a higher flow of the Golden Frequency. In the last two posts, Gabriel, the archangel linked with Divine Conception, has shown his light (the White Ray) in relation to purifying energies around the Moon (‘mirror of the Sun’s light’ from an Earth perspective, often felt as maternal) in prelude to opening the higher dimensional Lunar Portal, through which streams of the ‘unearthed’ lower 4D energies and entities have been released safely out of the Earth’s energy field. On April 11th, Gabriel’s presence showed clearly, opening the Lunar Portal with arms/wings outstretched either side in Christ pose, in merged feminine energy form (Haniel), with a pronounced rounded belly, coming into the Easter/Oestre re-birthing energies. Archangel Gabriel/Haniel merged light-form appears in front of the Moon, opening the higher dimensional Lunar Portal on April 11th 2019. In the two circled areas below, you can see the angelic light form on the left, floating above a deep crescent in the clouds below, and a human-like face with leonine qualities on the right. Following this Angelic appearance, the portal started to open like a flower, with ‘petals’ subtly showing as a radiating array within the cloud around the Moon. As the portal opened fully and stabilized, an emerald green mothership (the Neptune) flashed briefly, while steering an orb of a reddish colour toward the portal, with the orb (reptilian energies) already lightening into white and rose as it neared the Moon. Green lightship (the Neptune) steers an orb toward the open Lunar Portal, April 11th 2019. In this longer crop, the Twin Stars of Gemini, Castor and Pollux, are visible at the lower right, with a strong vibrational connection to the portal and trajectory of orb and ship, which is connected with recent light alignments and activations flowing from the Jellyfish Nebula within the Gemini constellation. There’s so much energy moving, all interweaving as part of the recouperative process of galactic ascension! As the portal transferred energies and flushed with light, the green and rose rainbow bands around it in 3D visibility became much more ‘solid and seamless’ looking, wrapped as almost opaque, slightly fluxing colour bands around the Moon, quite fascinating to watch. During the next week, the energies continued to ramp up, as on the subtle levels dark fire has continued flushing out from the Earth, steered through the Lunar Portal into specially prepared light fields. Coming up to Easter, rabbit energies have been very much to the fore here (in higher dimensional qualities, rabbits exemplify ‘that which centres the flows of above and below‘, moving between above and below ground), as one of my beloved bunny companions passed from physical. Merlin the bunny was as magical in 3D form as in his higher light (an angelic being), with a coat of ever-changing colours that shifted not only in colour, but in patterns and markings, every day, like a precise yet softly shifting vibrational map. Souls and soul families anchoring their light through animal forms on Earth is a subject for an in depth post of its own, but suffice to say here that in his 5D light-form ~ as a lovely, very gentle man named Turo (Arturo), currently stationed on board a beautiful lightship named the Elam’Ashar (Sapphire Star) ~ our soul brother’s warm presence has been shining through, literally, in the streak of a silvery-white pod-ship overhead the day after Merlin’s physical passing, and which he flew out from behind a cloud for this photo on April 17th. Small silver-white pod-ship of dear friend Turo comes into view from behind a cloud on April 17th 2019. That night during another Lunar Portal out-flow, with Turo and many beautiful beings in ships above, the ears and face of a bunny formed softly next to the Moon. Just feel these super kind, gentle Easter Bunny energies in your heart. 🙂 Oestre’s Gate of the egg of new life, has been and is so very open in this vibrational bridging year of 2019, in solar portal and lunar mirror reflection. Coming into the Full Moon apex on April 18th, star family gave a most spectacular presentation to share here, of a pinnacle in the current theme of Carian transcendence and ascension. Straight above the Full Moon, an Arturian bow-ship lit up bright white, at the top of a ‘cloud figure’ that merged both the cross symbol and upright bird-form with an outstretched wing. Arcturian bowship flashes brightly while guiding a Carian bird-being with wings in a cross-like pose, on an ‘ascending platform’ above the Full Moon, April 18th 2019. Enlarged, you can see the bird figure (with the Arcturian ship in front of its head ie; in a guiding, leading role) is standing or hovering on a deeply curved platform ascending through the clouds. Tucked under the Carian being’s outstretched wing, there’s a small patch, serpentine-like, of a carmine colour, representing a ‘wounded red dragon’ literally taken under the wing, for healing through the deep rose/ruby light vibrations that transform destructive, aggressive ‘wildfire red’ energies into harmonious, balanced flows of life energy/chi represented by clear red light. So very beautiful. We wish you all the most happy Oestre/Easter vibrations of inner resurrection of all that is joyful and loving within you, radiating like a sun far and wide, above and below. Meditations and heartfelt contemplations with the vibration of 6D ~ the sixth harmonic ~ whether in the form of the bee’s honeycomb hexagons, the flower of life or the Christed Cross, all assist the stabilizing of the higher ground, the 5D light-lattice of the ascended Earth. The sixth harmonic opens the ‘box of the third dimension’ from within…beyond the polarity of inside the box/outside the box, and beyond the ‘never-ending rabbit hole’ of the vortex hypercube energy structure of the fourth dimension, providing pure, fluidly flexible light stabilization for anchoring and grounding fifth dimensional crystalline light frequencies through your embodied being. Breathe, relax, open and enjoy! A pair of golden lightships flash either side of the star Canopus, March 18th 2019. We’re fast approaching the next highly enhanced vibrational alignment of 2019, with the Equinox of March 20th-21st, depending on your timezone, coinciding with a Full Supermoon (a Full Moon at perigee, the moon at its closest to Earth within its orbit, which heightens its vibrational effects), teamed with the passage of a ‘house-sized’ asteroid inside the Moon’s orbit on March 22nd, which we hear is small but power-packed…and in higher dimensions, directing a specific catalyst energetic along the wave of Equinox-Full Moon light frequencies. Flowing on from the transformation of energies within the Elysian Cross detailed in the previous post, there’s been a steady stream of triune higher dimensional Light from the stellar trinity of the Southern Cross, Diamond Cross and Elysian Cross, augmenting the ‘triple helix’ vibration that is part of the planetary ascension’s higher energy convergence, being successfully anchored, and opening the way for ‘unplugging’, flushing and uplifting another succession of node points and meridian flow-lines within and around the Earth, in both northern and southern hemispheres via specific ‘mirror nodes’ that reflect vibrationally to/with each other. Flushing and washing out heavy energy pockets on the etheric levels (4D) translates through to 3D as clearings of the water element planet-wide, converting fear-based vibrations to love and grace within the ‘memory capacity of water’, from the oceans and snows to the water within trees, animals and our own cells, with the assistance and beneficial upliftment of the water elemental beings. This translation reflected beautifully through a gentle rain shower here on March 12th, where faces appeared in every raindrop. The smiling blue faces in the droplets below are connected with the small blue beings of the Canopan planet Erra’mu (see previous post), who cherish their role of guardianship of the waters on their 5D homeworld (Erra’mu and Gaia are sister-brother planetary souls, with direct ‘quantum resonance’; the stabilization of Erra’mu in 5D vibrations reverberates continuously to Gaia and through the Earth’s light-grids). The Erra’mu~Gaia relationship can be seen in the softly radiating orb below that appeared on March 14th, above the star Canopus (with the diamond shape of the Elysian Cross asterism to the lower left), revealing the smiling dolphin-like face of a blue-green being sending a loving greeting to Earth! Through the day and night of March 15th, control-oriented factions attempted to veil the Elysian Cross transmissions from reaching the Earth’s vibrational field with a layer of interference frequencies. While not visible in 3D, this layer appeared in photos as a sort of vaporous smog centered around the Elysian Cross. In the photos below, the subtle presence of three large orbs can be seen gathering in trinity-triangle formation in front of the Cross, within the smog (Canopus is the star at the right). Then a large Angelic Light orb appeared to the left of the Cross, almost touching it. Following this, the lower astral intensity eased, the smog dissipated, and the light frequencies continued flowing through to the Earth. By March 18th, star family and Agarthan friends of the 5D Inner Earth realms had stabilized the higher alignment of many nodes, including a cluster in eastern Australia which were generating lower 4D vortex energies and are now settling and refreshing in golden light (for readers in Sydney, a major storm over the city on March 14-15th was a 3D reverberation of the opening and flushing of distorted nodes further inland. There were attempts to amplify the storm to a destructive level, but star family lightships eased the energies, and by the early hours of Friday, the severe storm alert had been cancelled). Wonderful to see/feel the crystalline light grids in those areas and others beginning to flow more freely! Energies are now steadily lifting toward this Equinox-Full Moon-asteroid peak light moment, heralded by the appearance of lightships yesterday afternoon, flashing white light from behind or next to clouds, such as this one that popped out to the right of a small cloud formation. Silver-white ship flashes to the right of a cloud, March 18th 2019. In the evening, two lightships flew fully visible, very high up in the sky, one after the other, from close to Sirius, passing southward toward Canopus, then curving into the Elysian Cross. The first ship appeared as a white light, and the second a golden-orange colour. Sirius felt highly-charged, and you can see in this soft focus photo of the star, a shining white whale-like form/energy in the centre, surrounded by leonine, feline and human-like faces in vibrant blue and aqua light vibrations. The second golden-orange lightship (of feline and human Antarian beings) radiated the orb below, just as it flew into the Elysian Cross within a halo of peachy-gold and ruby light. Bright golden-orange orb flashes, projected by a ship of the same colour as it flew into the Elysian Cross (upper left) and disappeared from view, March 18th 2019. Many assisting light beings and high energies are in close focus around the Earth coming into this Equinox alignment, and the lightships below radiate Lyran, Venusian, Sirian, Antarian and Canopan energies…along with many loving ones of the higher dimensional ships and soul groups dedicated to galactic ascension and so much more. These beautiful ships below both gave ‘slow blinks’ close to Canopus and Sirius. Disc-shaped ship of soft pinks, green and violet light flashes upper left of Canopus, March 18th 2019. This clear, luminous golden and violet dome-shaped ship followed in quick succession, flashing close to Sirius, and emanating Venusian, Sirian & Lyran vibrations. Energies intensified around the Elysian Cross, and were ‘washed clean’, with this huge ‘Antarian tiger-being orb’ appearing close to the Cross, with a ship flashing directly beneath it, among several waves of light beings flowing through and doing some deep clearing of heavy energy residues around the area. Golden-red Antarian orb of tiger being soul vibrations hovers above a ship next to the Elysian Cross, clearing shadow energies (representing here as small dark grey orbs), March 18th 2019. While variations in this scale can have many contributing factors (lightning, cosmic rays, solar flares, shifts through the photon belt), the timing of this one coincides with a starburst of crystalline light from within the planet itself, Gaia’s heart radiating through the planetary meridians/chi flow lines, nodes and energy field. So beautiful to see! This radiance vibrates through every living thing, every particle in and around the Earth, also touching the Moon’s vibrational field. On March 18th, in the northern sky the Moon shone pale gold here, between clouds that swirled into many faces and forms that symbolized a lot of human collective ‘psychic shadows’ connected to the Moon, and bright white light focused through Angelic energies that came in to clear the shadows and dissolve tethers. That light pooled firstly through these orbs. The Angel Light (Archangel Gabriel’s ‘white ray’ emanation) can be seen wrapped around the Moon in the photo below; purifying light blossomed around the Moon like unfolded wings, dislodging a lower 4D ship/device of which you can see the lower rim from behind a cloud to the right (with a face formed in the cloud below it). So as we flow into the vibrations of Equinox and Full Moon, just feel the exceptionally heightened pure vibration that Asteroid 2019 EA2 will be zooming through on March 21st-22nd between the Earth and the Moon’s orbits, which gives it a particular attribute of ‘diamond light ignition’ from a higher dimensional perspective. Star family send this message for the Equinox potential, that to fully receive and anchor this diamond light into our beings, and particularly into our earthly embodiments, to be aware of the crystalline qualities within our physical bodies, as all crystal structures naturally receive, store, and transmit frequencies. Crystals all around and within the planet are vibrating higher as the overall planetary vibration lifts, and the higher dimensional crystalline light-grid and New Earth grid as a whole continues to ‘come online’. Our bodies are filled with crystalline structures; calcium phosphate crystals give our bones hardness and strength, calcite crystals bedded in viscous fluid within our inner ears regulate balance, our tooth enamel is almost entirely composed of apatite micro-crystals, crystals are floating around in our body fluids and organs. When crystals are exposed to dissonant, jarring vibrations, they form in distorted ways, such as crystals associated with joint or organ inflammatory conditions. When crystals are exposed to unconditional love, joy and peaceful vibrations, they naturally grow and align in harmonious patterns, storing and radiating those beautiful frequencies throughout our bodies, just as they are doing within the Earth, the oceans, and all living beings. So it is suggested that we bring our loving focus into the crystalline aspects of our physicality, and visualize (or hold the intention of) diamond white light flowing into them, pooling within them, igniting reception of higher dimensional crystalline light, in natural ease and equilibrium during this Equinox…and beyond. Throughout this last week, pillars of white light have appeared in my dreams in particular ways and locations, as well as in the skies, showing through as vertical cloud pillars like this one on March 18th, sometimes several times a day. Cloud ‘light pillar’ formation, March 18th 2019. The ‘light pillars’ we all are in every moment, are enhanced through the next few days, so give yourself the gift of opening to the high vibrations streaming through this alignment, allowing them to anchor within your heart, within your evolving crystalline light-body, and radiate this sparkling lightness-of-being to all living beings, in oneness with the heart and inner rhythm of this beautiful Earth. Love, Joy and Peace to All during this Equinox and onward! Angelic ‘Sky Pagoda’ forms in clouds following a node activation/light alignment on February 27th 2019. In the last Galactic Council Update, we shared news of a Council meeting at Canopus, alpha star of the Carina constellation, with a great array of soul groups gathered there, represented through many orbs of varied colours and light vibrations…and how this meeting flowed on from a major level of Light anchoring on Earth during the Lunar Eclipse of January 20th 2019, that has opened this next stage of planetary ascension. Galactically, this is all vibrationally related to releases and transformations occurring in other regions that have direct energy reflections (quantum resonance) with the Earth and Solar System as a whole, just as the Earth’s upliftments in frequency ripple out to the galaxy and universe. Following on very swiftly from the Council’s meeting at Canopus, another high light shift has taken place in the Canopan region, initiating a providential ‘resonant translation’ into the Earth’s frequency field. If Canopus is new to your awareness, you may like to read Canopus: Return of the Navigator, and The Light of Kamura, about the transformation of a dark hub within the Diamond Cross asterism that took place on 7-7-2017 in Earth time. That transformation has now expanded into a rebirth of energies within the False Cross asterism, also part of the Carina constellation…which we’ll refer to now, in its renewed higher light, as the Elysian Cross. You can see below the layout of these formations in the night-sky ~ from the bright jewel-like Southern Cross at the left, to the Diamond Cross in the middle, to the Elysian Cross, upper right, with Canopus the bright star at the far right. On February 19th, night of the last Full Moon, while the Moon shone in the north east, the continuing focus of high light beings and ships around the stellar crosses near Canopus in the nightsky showed firstly as immense orbs, while I/we grounded the Light of Kamura with Gaia (visualizing the Threefold Flame, rose, blue and golden yellow ‘trinity-helixing flame’). An intense blue orb emanating from angelic soul lights of the Blue Ray appears in the photo below to the left of the Elysian Cross, followed by a large ‘mother and child’ orb to the right of the Cross (you can see this orb above the cross in the first photo, then coming into clear definition as it expands its light in the second). Flowing with this heightened star family presence around the crosses, information about the ‘False Cross’ asterism came through on February 20th, as an area used to transmit frequencies that, on Earth, have contributed to mental-emotional looping such as trauma replay, drug addictions and other addictive behaviours connected to the lower matrix. The higher dimensional focus into the ‘false light’ cross, moving on from the Galactic Council meeting at Canopus, aligned into a huge clearing mission, involving many ships and soul families bringing their light into a clean-sweep and dismantling of the transmitting network, then into the centre of the Cross itself, catalyzing it rebirth (which appeared to my inner sight as a vast, soft field of flowers of golden, white and pink light suddenly blossoming, with word of its renewal in universal love as The Elysian Field). Flickers of lightships moving between and around the three stellar crosses were constant that night, and a beautiful pair of Canopan ships working with complimentary energies showed in a sequence of photos as flashes of pink and blue ~ representing the soul emanations of the two main groups who live on Erra’mu, one of Canopus’s inner three planets. Here they are, just above Canopus. A pair of Erra’muan lightships, one radiating pink light, the other blue, appear above the star Canopus, February 20th 2019. There’s a smiling round blue face projecting through the blue ship, which appeared at first orb-like, but came into focus as a triangular ship as it morphed through the following photos. The pink and blue represent a tall, luminous pink group of beings, and a small blue group (they would be about 3-4ft high in human terms), very gentle beings who have a strong affinity for water on their planet and are the ‘stewards of the waters’. The violet hue within the pink represents another group, who hail from the second Canopan planet, Kaira’mu, who are venturing out more now, with Canopus restored to the Galactic Federation. See the blue faces forming in the shifting triangle of the blue ship, and the variations of light running golden peachy hues through to rose, purple and green in the pink ship with its rectangular form, throughout this sequence? Here, the ships closed formation back toward Canopus from below, still in their pair formation. Erra’muan ships appear close together beneath Canopus, February 20th 2019. The next night, February 21st, was cloudy to the south, but for a few minutes the clouds parted around the Elysian Cross, and a sparkling golden ‘shooting star’ flashed through the cross, with a strong vibration of the New Jerusalem lightship (Na’Heru’Shii’Mu’Ra’Ima in higher vibrational sound-form, for anyone who would like to tune into it with those sounds). As the high vibrations began to settle and anchor in the rebirthed light template of the field of energies within the cross, the trinity radiance of three Ascension Light Towers in the three stellar crosses/diamond shapes began to flow toward Earth more clearly and tangibly; blue-white from the Southern Cross, golden-white from Kamura in the Diamond Cross, and rose-white from the Elysian Cross (white Ascension Light running through the Threefold Flame on an expanded scale). Three ships shift into a bow/arc formation, February 23rd 2019, photo taken by Rob Hartland. I feel/see my Twin Flame’s 5D soul expression Arnap, and Rob’s 5D soul expression, aboard these lightships. Rob also photographed this beautiful ‘triple cloud tower’, which I hear from star family is symbolizing three towers in the Asian region that are, on the subtler levels, acting as receivers and anchors of the Ascension Light Towers of the three stellar crosses. ‘Trinity towers’ form in clouds on February 23rd 2019, following appearance of three lightships, photo taken by Rob Hartland. The establishment of direct higher light anchor-points with Gaia, and the removal of a faction of non-ascended Carian beings (control-oriented bird-type beings), reptilians, and lower 4D technologies around the Elysian Cross area continued massively through the next few days (in Earth time-translation). This photo from the night of February 25th shows overlighting soul groups around the crosses, with two ships stationed inside the Diamond Cross (on a central alignment with the stars of the long tips of the diamond) keeping the centre energy strong and stable. Orbs show soul groups overlighting/watching over the clearing and transformation of the Elysian Cross, with two ships positioned with the Diamond Cross, lower centre, February 25th 2019. This was followed by a huge rose orb appearing in the Southern Cross, while less than friendly beings were escorted through the intergalactic portal within that constellation, to optimal places for their healing/divine realignment. Some have ‘broken ranks’ to stay and transform now; see the smiling face inside the brilliant peachy orb flashing beside the refreshed Elysian Cross? More soul groups can be seen below forming a crescent around the Southern Cross, guarding and overlighting the energy flows. Orbs reflecting different soul groups form a protecting crescent/arch around the Southern Cross, February 25th 2019. On February 27th, we aligned the Trinity Towers and Rose energies of Messier 27/Makarim through the node/light-grid here with a lovely group of ‘ground crew’, helixing and grounding this beautiful blended vibration. Guided galactic and intergalactic light-flows are always multi-tasking, and the Messier 27 energy that became available to Earth a few months ago, has also catalyzed a translation of transformations within the Elysian Cross into the Earth’s energy field, with much clearing of lower matrix residual gridwork. The connection with the Asian trinity towers can be seen in the fabulous ‘sky pagoda’ that formed in the western sky as this activation completed (mythically, the immortal paradise of Elysium/the Elysian Fields was considered to be westward, at the end of the Earth ~ or we could say, at the Earth’s rebirth). Many dense energies/entities were transmuted through this angelic pagoda, you can see a few of those energies being wrapped and transformed within the cloud-shapes below. Angelic light sword atop a tower forms above the maelstrom, February 27th 2019. ‘Grey’ residues and matrix grid are dissolved overhead, February 27th 2019. Our Alpha-Centaurian star brothers and sisters ‘drew the fire’ of beings away, represented in the clouds as a horse leaping through plumes of energies, leading a chase across the sky. Alpha-Centaurian presence marked by a horse leaping in the clouds, as they led unfriendly entities on quite a sky-chase, February 27th 2019. Behind them, a lower 4D craft popped across the dimensions, visible in the photo below as a black wand or blade-shaped object. The point where it phased across dimensions is visible behind it, as a band across the cloud, of the same shape. 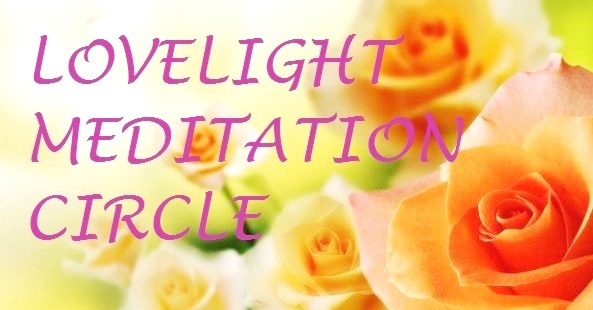 Within the general intensity, lower down in the sky (symbolically closer to the Earth), the beautiful form of a light tower and city of light appeared on a cloud-bridge….the bridging energies of 2019 coming through strong and steady, in peace, beauty, and serenity, while the ‘energetic froth’ at the edges of the higher vibrational convergence that is planetary ascension continues to peel away, transmute and realign, step by step. Light city and tower form on a soft bridge of cloud, February 27th 2019. This is just one aspect of current star family ‘missions’ and activities around the Earth as this next ascension stage steps up; the atmosphere rippling through the fleets feels effervescent and exhilarated, they/we (and many of you reading this, who have higher dimensional soul expressions focusing with the Earth’s Shift) are so glad to work with the momentum of this next level of light-flow! Rainbow orb with ‘inner egg’ above the Pleiades & Hyades star clusters, January 30th 2019. Coming into 2019, stellar and galactic vibrational alignments that had been focused and building through December last year (see previous posts) reached an optimal peak on the Lunar Eclipse of January 20th (eclipses act like a focusing lens for frequencies connecting with the Earth, through or in relation to the Solar portal in higher dimensions, while triggering releases of subconscious limitations personally and collectively). These alignments, from Sirius, Alcyone (Pleiades) and intergalactic centre, came with added input from a high light galaxy that connects to the Milky Way through Messier 27 (the Dumbbell Nebula) with the purpose of easing and softening the Earth’s Shift, expressing through rose-white light-streams. Through the remainder of January 2019, the light flows and effects of these alignments continued to consolidate within and through the New Earth Grid and supporting light-grids of the higher dimensions, with another ‘follow-up’ input from Sirius and Alcyone on January 30th that anchored securely into the interlaced high light-grids we refer to as the Avalon Grid (Golden Age of Atlantis energies) and Mu Grid (Lemurian energies). Restoring the ‘Avalon divine goldenprint’ of life here with Gaia draws on and merges complimentary flows through Sirius and the Pleiades that originate from Avyon, the ‘first Earth’, planet of the star Vega in the Lyra constellation. Lyran beings and energies spread far and wide, to Sirius and the Pleiades, and many more constellations. In the Alta Mira region of the Pleiades around Alcyone, a ‘second Earth’ blossomed, Avyon reborn in the Pleiades through the original Avyon ‘light template codes’, and this planet remains a beautiful, gentle paradise sanctuary, whose light template has specific anchor-points within Gaia’s energy-field that continue to activate in a precise sequence. At the current stage, many main flow-lines of the Avalon Grid are unblocked and flowing clear, and tributary light-streams are also reactivating, anchored through thousands of nodes around the Earth, forming the basis for areas of active mini-light-grids holding the New Earth frequencies in a stable format, from which it can blossom and expand further, eventually around the whole planet. Two lightships which flashed simultaneously on January 30th (in the photo below) also show the supportive role of the Hyadeans, with one ship pulsing light just above the ‘V’ of the Hyades and the other pulsing just below the Pleiades in a complementary mirror formation. Lightships flash beside the Pleiades & Hyades, mirroring each other across the two star clusters, following the rainbow orb appearance, January 30th 2019. This greeting was immediately followed by the appearance of a very distinctive bright orb next to the Hyades, which shows a composite of supporting energies within a rose-white sphere (the quality of vibration flowing in through Messier 27, from a Rose Planet named Makarim). In the enlargements below, with the orb viewed ‘upright’, there’s a Hathorian/Pleiadian figure visible, in a green robe, with a golden wrap over her shoulder…and with the orb turned on its side, a green merged feline-doglike face can be seen above a golden bird, symbolizing a phoenix (both the lightship Phoenix and the ‘rebirthing’ heart energy of our galactic supercluster Laniakea). Bright rose-white orb with green-gold interior appears near the Hyades (the larger orb at upper right is next to the star Bellatrix in Orion), January 30th 2019. Earlier that same day, in the garden here, a newly activated node aligned the Triple Light flow, as part of a synchronizing network of connected nodes around the globe in the New Earth grid, grounding the Trinity energy deeper with Gaia, through a triquetra sacred geometry (with rose quartz, citrine and aquamarine crystals holding the Threefold Flame of the Heart vibration, pink, golden-yellow and blue). During this alignment, energy waves were flowing around the node, lighting up new points in an expanding light-grid, reflecting on a micro-scale the light-network areas being continuously stabilized and secured in various locations around the planet. The green feline face in the rose-white orb above can be felt and attuned to through the pictures below too (with thanks to the unknown artists) that relate to very loving feline beings (deep, gentle energy transformers and evolutionary guardians) who flow through both Sirius and Alta Mira, through a Sirian mothership named Ba’Shiila (the Butterfly), and from planets of Mirzam, the second brightest star of Canis Major. Here’s another related bright rose and green orb just above Sirius on January 30th, with a large orb cluster higher in the sky (within the Hu Shi asterism, part of Canis Major), and below this photo, there’s a glowing rose ‘Makarim’ orb, also above Sirius. Bright rose-green orb appears close to Sirius, with large orb cluster within the Hu Shi asterism, January 30th 2019. To attune further with the Sirian and feline soul energies, our dear star sister Melissa Peabody of myfirstcontact.net has kindly allowed one of her recent films showing and connecting with Sirian beings to be posted here (with love and gratitude to Melissa and star family!). The large blue-violet orb below, of feline and leonine soul energies, appeared on January 25th between Mirzam and Sirius, overlighting a ship which in this photo is directly beneath it, low down on a straight alignment to Betelgeuse and Bellatrix in Orion (there has been much ongoing steadying of the Orion vibrations by star family, with continuing transformations, which we’ll return to in another post). Blue-violet orb sits between Sirius and Mirzam (second brightest star in the Canis Major constellation), while a ship flashes in straight alignment to Betelgeuse and Bellatrix in Orion, January 25th 2019. Finally, coming into February, a most unusual two-toned orb appeared beside the Pleiades, and star family speak of it as a ‘sunrise orb’, a message of rebirth of the Light transmitting from the second Avyon of Alta Mira, showing rose-gold light rising from below (within stars and planets, within humanity and all life) and radiating through all shadows the crystalline light codes of regeneration, wholeness and joy. ‘Sunrise orb’ to the left of the Pleiades, February 2nd 2019. While anchoring the Makarim ‘Rose Planet’ energies, this ‘Mother’s Love’ rose bloomed on the Eclipse in a beautifully symbolic ‘trinity tower’ of three pink-white roses, January 20th 2019. Rose Moon over Rose Planet, artist unknown but appreciated. We’re coming up to a significant eclipse on January 20-21st 2019, a Supermoon/Blood Moon Total Lunar Eclipse, following on from the partial Solar Eclipse of January 6th, during which some key ignitions occurred in the region under the eclipse shade in particular, preparing the ground (literally and energetically) for an optimal high light-event convergence into the 3-4D ‘spacetime-frame’. The upcoming Lunar Eclipse centres over the Americas, and will also be visible from Europe, Africa and the Middle East (see this page for exact times in your location). In the previous two posts, we mentioned the alignment of Alcyone, alpha star of the Pleiades cluster (with the deepest healing release so far of lower-matrix Earth/human collective consciousness through the Taurus constellation complex of Aldebaran-Hyades-Pleiades) and Sirius, the Dog Star, which flowed super heightened star-soul light into this year through its annual zenith-point (midnight of New Year’s Eve, December 31st). Confluent with these emanations, an amplified wave through galactic centre is aligning pulses of ‘phoenix light of rebirth’ from the heart of Laniakea ~ the galactic supercluster in which the Milky Way is journeying and evolving/ascending with some hundred thousand companion galaxies. This divine trinity of stellar/intergalactic alignments ~ Sirius, Alta Mira (in the Alcyone region of the Pleiades) and Laniakea through galactic centre ~ is also now being augmented by exquisite strengthening and uplifting light flows through several avenues. The one we’ll focus with here, as the eclipse energy/potential builds, comes through the heart of a galaxy whose connecting portal is situated within a planetary nebula known as the Dumbbell Nebula, astronomically called Messier 27. One translation of ‘Messier’ from French is ‘messenger’, and 27=2+7=9…Messenger 9. Nine is the Angelic Number, number of completion and rebirth into new cycles, and the Dumb-bell is ‘dumb’ no longer, unmuted and emitting a very high Ascension tone along a wave toward the Solar System. Messier 27, through the Spitzer Space Telescope, image courtesy NASA. Messier 27 sits in the constellation Vulpecula (Little Fox), in the centre of the Summer Triangle formed by the bright stars Deneb, Vega and Altair, vibrationally connecting with all these stars and very closely with a higher dimensional planet named Lucida, that orbits Vulpecula’s alpha star, Anser (which you can read about in this post). The connection of this galaxy through Messier 27 to the Solar System opened noticeably in November 2018, anchored through to Gaia’s heart during the 12-12 Gateway of December 12th, 2018, and has been subtly radiating through the New Earth light-grid continuously since then. During meditation on the 12-12, as this galaxy came into clarity, visions of an undulating pure white light-wave (which star family refer to as ‘the eternal shoreline, infinite and ever-changing‘) brought into view a beautiful planet of rose light with three rose moons, and this planet whose soul-tone translates to the name ‘Makarim’ with its moons forms a cosmic hub of Sacred Trinity/Divine Mother energies. Makarim is also a citadel of the Muraya (or Moraya) Confederation, which is spread throughout Laniakea, and indeed through this universe and others, as the ‘parent light network’ of the Intergalactic Confederation, including our local Galactic Federation in the Milky Way. Aligning and grounding this energy with Gaia translated very beautifully into 3D on New Year’s Day 2019, as while writing a Heart Star post that day, there was a bush-fire burning nearby, and my home was in the evacuation alert zone (the wind was strong, with ash falling on the house). Inner guidance was to meditate with the largest node in the garden, bring through the rose Makarim/Messenger 9 soul-light, and ask Gaia and her fire, water and air elementals to calm the blaze, with star family assisting above. On New Year’s Eve, my Twin Flame in his 5D expression (Arnap) flew overhead in a small Arcturian bowship which gave many bright flashes beside a tree, three of which showed in footage shared at this link. From that symbolic entry into the year, the White Ray~Rose Ray combination has continued to flow within various levels, gradually filtering into the conscious awareness of humanity, building steadily toward this Lunar Eclipse, augmented through the Messier 27 portal. So all is prepared for maximum inflow of the ‘pure white light Ascension spiral through the rosing of the eclipsed Moon’. To assist connecting with this energy, here are a few photos of the rose-white light that has been projecting through ships and orbs consistently through January, such as this pearlescent beauty of January 7th 2019, flowing from the winged white lion-beings of Eremor, whose energy is also softly, deeply present around the Earth. Rose-white orbs have appeared repeatedly around Sirius, and others like the huge rose and teal orb pictured below (directly above Sirius, with Canopus at the right, and the Hu Shi/Bow&Arrow asterism between them, which houses the portal of the Eremor Universe). So for this Lunar Eclipse, we invite you to open your heart to the beautiful high triune ‘Three-in-One’ energies aligning through Sirius, Alta Mira and Laniakea ‘the phoenix of rebirth’ Supercluster/Heart of Source through galactic centre; through the Messier 27 portal flowing the rose-white light of Makarim, the rose planet and its trinity of rose moons; through the sacred mother~father-child light within your own being and all Life, everywhere….the 333 code is streaming with and through us all. Be open, be the peace, and call in the highest loving awareness to activate to its optimum within the heart of the human collective on Earth, in this Now. For those of you who feel an affinity with Canopus (brightest star in the sky after Sirius, visible high in the nightsky from the southern hemisphere at present), this star and connected light-beings are also to the fore assisting this alignment. Here is Canopus last night, January 18th, with orb and ships. ‘The Navigator is on board’. And here’s the moon yesterday evening yesterday with orb symbolism, and an enlargement of Sirius from January 16th 2019, with a tall figure in the central blue area of the star, arms outstretched to open a rose-coloured portal. Arrow of white lights forms beneath a lightship higher above, with one light moving to hover next to 6-point star on a rooftop, Mandurah, Western Australia, Dec.28, 2018. Close-up, there’s a blue lion face in the little orb, as it forms beside the star, showing Sirian leonine soul energies. This loving message comes with guidance to stay light in heart, peaceful in mind, and for this magnificent Eclipse, to remember the light of the Merkaba (represented by the six-point star)…to breathe pure divine lovelight into our personal merkabas, breathing in unity with Gaia’s heart, naturally coming into alignment and spinning in perfect harmony with her planetary merkaba/light-body surrounding the Earth. Fresh into a new year in the western calendar, the brightest star in the sky, Sirius, is at its annual zenith ~ its highest point in the sky occurring at midnight on New Year’s Eve (which may be direct overhead or slightly angled, depending on where you are on the planet). The vibrational ‘flow’ from this star to Earth aligns strongly at this time (as well as during its mid-year peak during the Lion’s Gate period, calculated on the heliacal rise of Sirius from the Ancient Egyptian era and calendar). We’re also coming into a ’12’ year (2019 = 2+0+1+9 = 12) vibrationally, and 12 represents the ‘circle of life’…expressing through western astrology as the circle of 12 zodiac signs, in Chinese astrology the 12 year cycle, the 12 months of the solar year, 12 lunar months of a lunar year, with a day being 2×12(24 hours). The number 12 is a sublime number mathematically, and widespread through religious symbolism, from 12 tribes of Israel, 12 disciples of Christ, to the 12 petals of the Heart Chakra in Hinduism, and so forth. 12 also reduces to 3 (1+2=3), the triangle~triune~divine triad~sacred trinity~threefold flame vibration that is closely connected with ascending personal, collective and planetary/galactic energies. On December 15th, three friends were at my home, and following a Sirian soul activation, we were ‘called’ outside by a sudden extraordinary downpour mixed with hail (pretty rare in Perth summer! ), then as that stopped we witnessed the sky wash with higher dimensional light-waves, firstly in peachy gold, then rose, magenta-blue, and deeper purple colour vibrations, for about 10-15 minutes. There was a large Sirian ship present, a few smaller ones, and many whale forms in the clouds. The colours didn’t come out in the photos, but what did come through was high activity in the clouds lowest down between the trees ~ as you can see in the crops below (turned upside-down, or ‘right way up’, from their point of view!). Intense cloud patch low between trees shows light-beings descending from a Sirian starship, December 15th, 2018, with many loving presences showing through in the enlargements below. I’ve circled a few key ‘features’ in one of the photos; lower centre, what appears as a ramp or gangway with rails on either side, and an angelic/humanlike figure descending onto it, with another descending above, from a stationary disc-shaped lightship, with many faces around them…you can see (circled) a face to the left of the ramp, with a beautiful happy smile, and the face of a dog or wolf to the right (reflecting energies of the ‘Dog Star’). In the enlargements below, there’s a feline face visible just under the ship, watching over the beings ‘coming down to Earth’. More feline and human-like faces can be seen watching over this arrival, from the clouds higher above. (This is symbolizing potential ‘open landings’ in the coming year or two; timing in the Earth time-frame will depend upon the level of vibrational convergence with higher consciousness/New Earth energies, in the human collective, and the pace of ‘planetary ascension acceleration’). These beautiful energies continued to increase, and appeared most wonderfully on the night of the Solstice, December 21st, during a ‘heart-to-heart’ with Sirius in the night-sky. Sirius expanded into an unusual shape full of purple light (7D Sirian vibrations) with Procyon visible in the bottom right corner of the photo, in ‘normal’ focus, then the light projecting from Sirius went into many colours, with visible figures and faces projecting straight from the Soul Light of the Sirian star system. Projection of soul energies from Sirius, in the ‘light-form’ radiating in front of the star, upper left, with the star Procyon in normal focus lower right, December 21st, 2018. In the circled area, there’s a very tall being standing on, or hovering just above, a golden light-disc, and you can see a small orb directly above their head. There are also many loving leonine and feline faces shining through this projection of soul energies. Thanks, beautiful beings! On Christmas night, December 25th, the energies crystallized through a flash from a Sirian lightship, which you can see one side and tip of in the photo below (like a rectangular ‘platform’ with a transparent canopy over the top). Again, on December 28th, during a Sirian activation (of a node in the New Earth light-grid in a friend’s garden), this lovely presence shone through soft wispy clouds overhead. Sirian/Pleiadian soul presence shines through soft rose, violet & aqua light vibrations during node activation, December 28th, 2018. As the trinary Sirian energy ushers in this 12 (3) year, it feels ‘timely’ to mention here that there are now 15 constellations aligned wholly or partially along the ecliptic (the basis for the zodiac of 12 signs in western astrology), as Ophiucus makes its return in the collective consciousness, and with the ecliptic plane now just touching through Cetus (the Whale) and Orion (called the Hunter, but we prefer ‘galactic butterfly’ in a phase of great transformations), as can be seen on this map. Constellations of the Ecliptic, image credit: CGM Lee via NASA. While the last two are brief touches, this alignment of 15 constellations in the annual ‘golden solar circle’ shifts the threefold vibration from 4×3 to 5×3, and in the context of the Earth’s Shift (and humanity’s inner evolution), there’s a completion of a specific circle of consciousness occurring this year, during a galactically synchronized expansion of higher frequencies that touch all beings, and build subtle bridges at the vibrational RNA-DNA level. This bridging theme initiates early in 2019, with the partial Solar Eclipse of January 5-6th, whose shade will cover the North Pacific region (including northeast Russia, northwest Alaska, Japan, Korea, northeast China and Taiwan). Through this eclipse, specific node points within this area that contain ‘bridge-building crystalline light unity seeds’ will activate, and align the energetic course through 2019. *For details of the January 5-6th Eclipse, read here. *If you’re interested, detailed information about the ecliptic, celestial equator etc can be found here.